New Mexico Governor Susan Martinez is pushing to increase the number of federal military cemeteries in her state from two to ten. Photo: Fort Bayard, New Mexico National Cemetery. Credit: Wikipedia. New Mexico is the fifth largest U.S. state in land mass, with 122,000 square miles. Given the long distances most state residents must travel to visit the two existing federal military cemeteries, Governor Martinez wants to create eight more cemeteries dispersed across the state to make it easier for family and friends to visit the gravesites. Read the full story about how Gov. Susana Martinez wants to build small veterans cemeteries throughout state in the Current-Argus (Carlsbad, New Mexico), 17 July 2013. One of the state’s two existing federal military cemeteries is located at Fort Bayard, New Mexico, in the southwestern area of the state. That cemetery has burials from the 1800s to today. 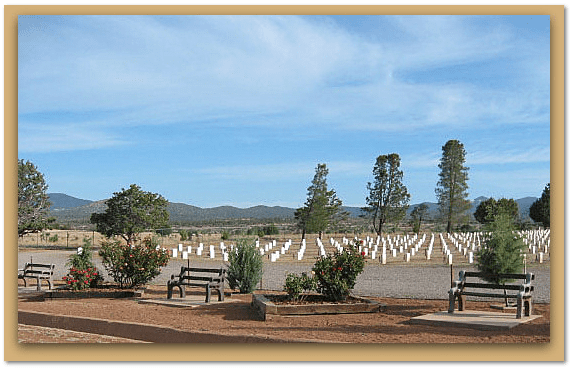 The other federal military cemetery is the Santa Fe National Cemetery located in the city limits of Santa Fe, New Mexico. Burials there began in the mid-1800s. New Mexico residents in the southern part of the state also use the Fort Bliss National Cemetery located in El Paso, Texas. The earliest grave in that cemetery dates from 1883. Be sure to use the U.S. Veterans Administration’s National Gravesite Locator to search for details about the servicemen & women and their spouses buried in these federal military cemeteries. These military cemeteries permit the burial of the service member and their spouse. The online index gives you the core information: each person’s name; dates of birth and death; name and rank of the person that served in the military; and the name and contact information for the military cemetery. All of this is available 24/7 online. 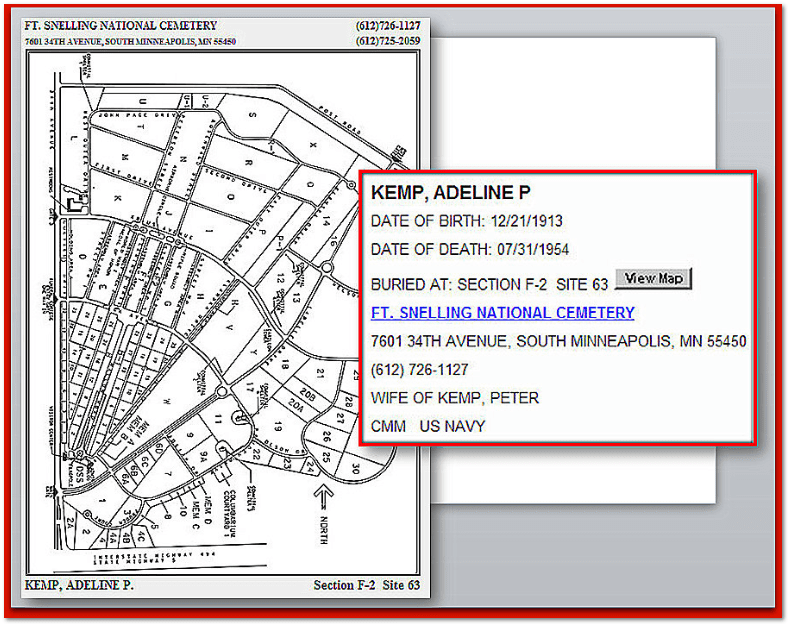 This government cemetery website is updated daily.